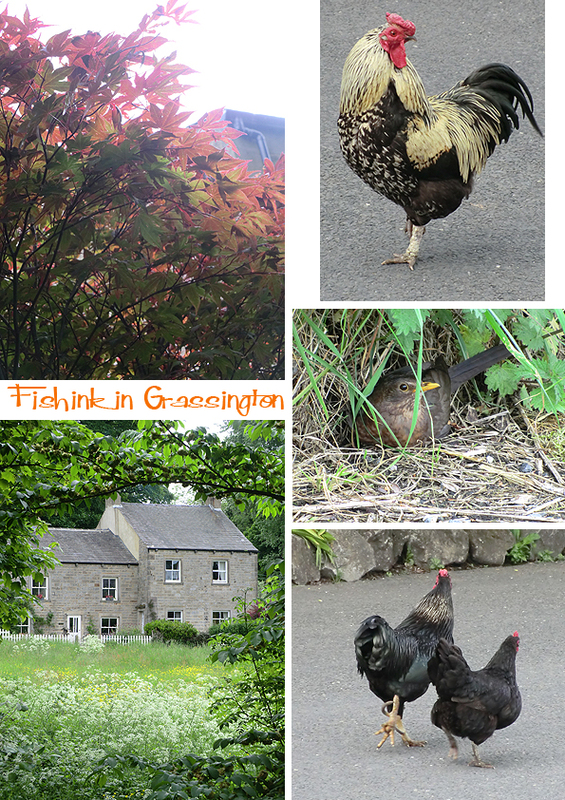 This is part two of the post from my weekend trip to Grassington in Yorkshire. 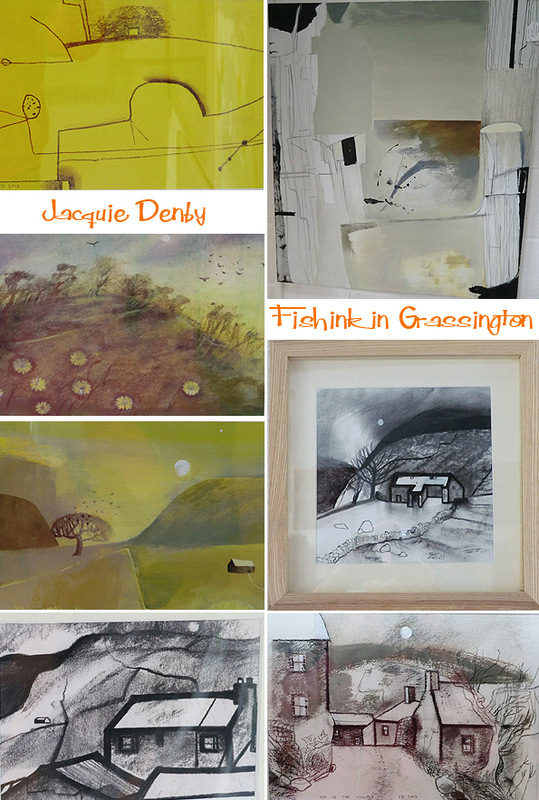 I was lucky to meet the very talented local artist Jacquie Denby and got the chance to chat a little about her work. I really liked her linear style and for me it had hints of Miro, Klee and Picasso hidden amongst her yellows and charcoal lines. 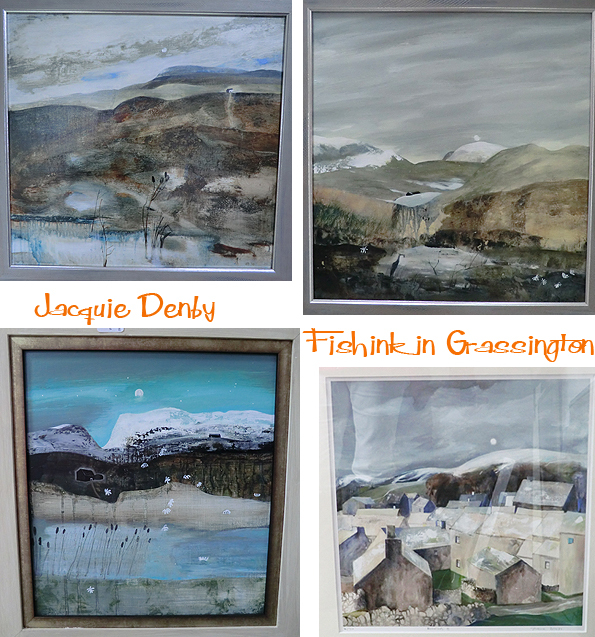 Jacquie exhibits in a gallery in the village but also at the Quantum Contemporary Art Gallery in London and the Waterstreet Gallery in Todmorden. 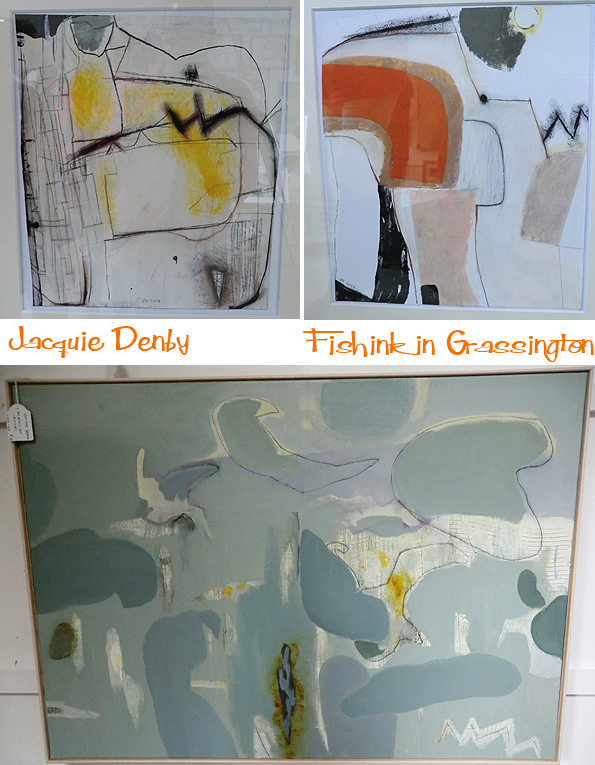 She has two distinctive styles one is abstract (above) and the other more realistic (below). The small square framed charcoal piece was amongst my favourites of Jacquies’ work. She was a joy to chat to and very calm and knowledgeable about her profession. 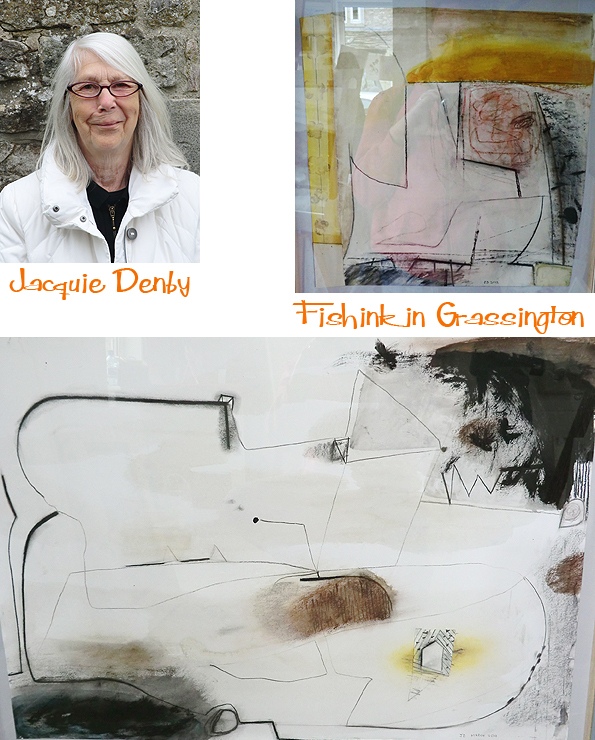 If you can’t get over to see Jacquie in Grassington then she’ll be taking part in Out Of Context 2 at Machpelah Works, Burnley Road in Hebden Bridge on the 29th / 30th June and 5th /6th and 7th of July 11am til 5pm. Do drop by and say that you heard about it here. In the nearby Village of Linton there was the local Yorkshire Pudding Throwing Competition and another one to judge the decoration and creative use of a Yorkshire Pudding. From a ladies fascinator to a decorated mirror frame, the entries were strangely amusing. Again the local area is stunning in it’s beauty. I walked down to the local waterfalls, past roving wildlife and idyllic scenes of country village life. 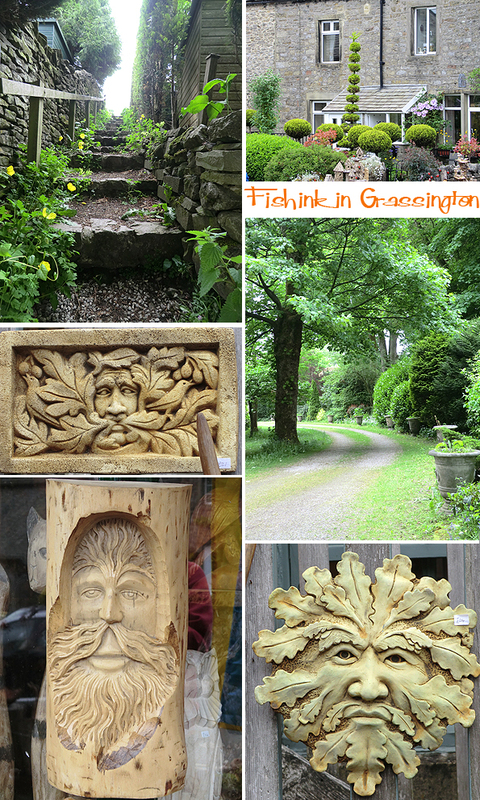 Back in Grassington the stalls selling local produce were doing well. An amusing jazz band struck up, dressed as chefs and kept the crowds entertained and serenaded for part of the afternoon. Alongside cooking demonstrations and other musical performers. 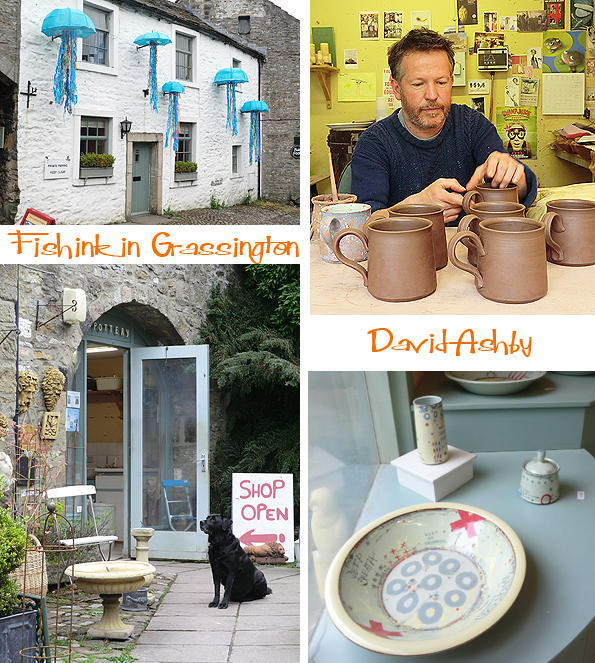 I discovered that local potter David Ashby lives and works in Grassington, in this courtyard pottery. Here he is hard at work. I’ve met David on a couple of occasions taking part in the GNCCFin Manchester and really like his work. He’ll be taking part in the Holmfirth Art Market on sunday the 23rd June, well worth stopping by as it’s on the day before too. 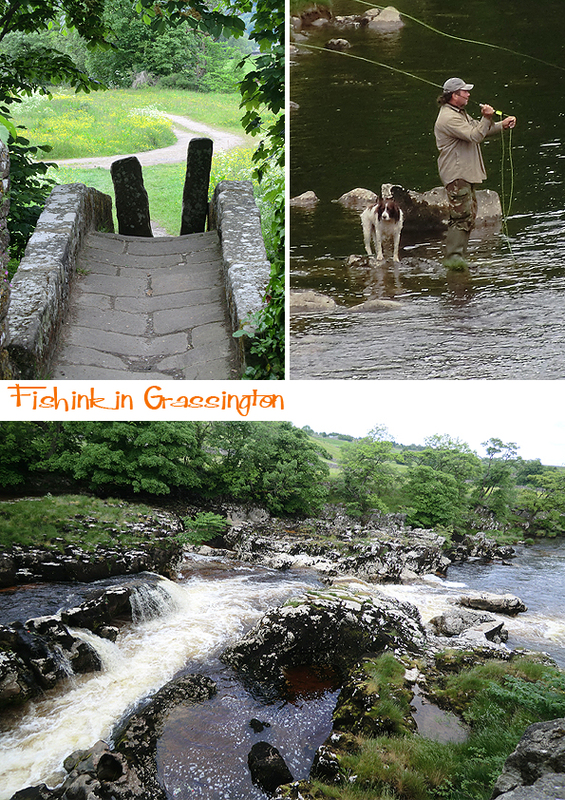 Lucky again with the weather, I got to see Grassington in a wonderful light, even the old green men seemed friendly ! 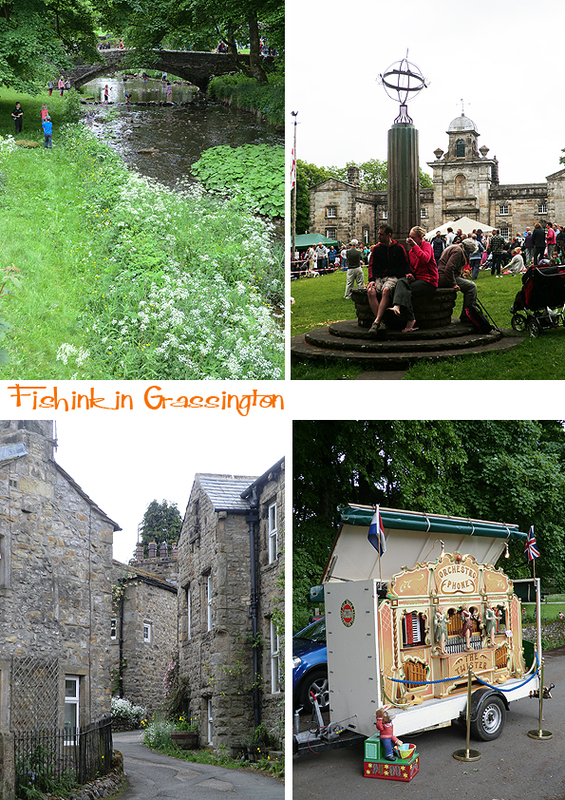 Grassington Festival runs until the 29th of June, with former members of ELO, the Levellers and Jools Holland still to perform, it’s a great place to head to if you’re free and in the area. 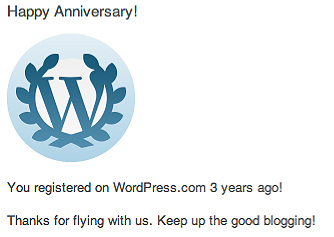 Happy Anniversary for your great blog Craig. I always enjoy your posts, with introductions to new work I wouldn’t usually see. Thanks! Thanks Isobel, always great to hear when the posts are on the right lines. Happy Weekend.